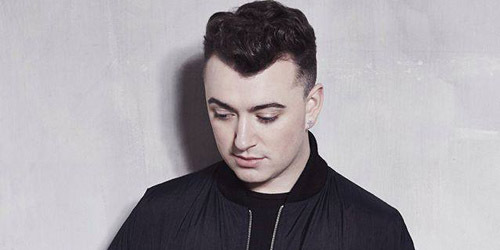 PROFILE: Will The U.S. “Latch” Onto Sam Smith In 2014? La la late to the party, we are. At the tender age of 21, British performer Sam Smith has already accomplished a lot in his still budding musical career. Through a series of solo songs and a pair of hit singles with other acts, Smith has accrued a big international fan base that is hoping to expand into the United States in the next year, where he’s yet to become a household name. Most recently, the singer collaborated with Disclosure, Nile Rodgers and Jimmy Napes on a song called “Together”, which lit up the blogosphere and has achieved minor chart placement throughout Europe. Now, Smith’s about to get his lucky break in the U.S. with his features on two songs being issued to radio at the same time: “La La La” by Naughty Boy, which is serviced to CHR radio on Tuesday via Capitol, and “Latch” by Disclosure, coming to the same format in January via Interscope. Born in the small village of Bishop’s Stortford, Smith’s been singing since age 8, first training with a jazz vocalist before moving onto work with musical theater while passing his school work. After moving to London at age 18, he began a regular job at a bar before signing to PMR Records last year and making his mark in the music industry. Unfortunately, once again, the U.S. is behind the rest of the world when it comes to this talented guy, so I’ll catch you up to speed on his success so far. His first big appearance on Disclosure‘s “Latch” made its debut on the U.K. Singles Chart in October 2012, climbing to #11 the next month and charting in the top 40 for 18 consecutive weeks, a very large sum for a song that just missed the top ten. In most countries, the song barely scratched the top 40, if at all. Though it hasn’t ranked on the Hot 100 yet, “Latch” has thus far reached a peak of #27 on Billboard’s Dance/Electronic Songs chart, which began in January. It’s a chilled-out house track that’s been a little too different for many audiences, but the U.S. could turn things around for it. “La La La”, however, is a different story, a more globally recognized hit single. It was producer Naughty Boy‘s first single to be released outside of Europe and it was a smash, achieving top ten rankings in over 20 countries. It also earned the two acts their first #1 in the U.K. back in May and turned out an eleven week run in the top ten. Pretty impressive. I’m sure the year-end tabulations over in Europe will be good to it. We’ll see how it fares on next year’s American surveys. Satellite radio should be all over it in the next few weeks before the majority of the CHR panel even considers it. However, the soulful vocal meets tribal dance arrangement track should prove to be a winner with a good label backing. To add to the madness, all eyes are on what label Smith will end up on here in the States, as that has yet to be determined. Will he end up at Capitol, as evidenced by this Billboard report in which CEO Steve Barnett notes that “we’re in final talks to sign another artist affiliated with [Naughty Boy‘s Hotel Cabana]”? Will he sign at Interscope, where many acts from his U.K. label, PMR Records, are currently under contract? There’s also Republic Records, who have taken in singer John Newman and DJ/producer Martin Garrix in the last few months — could they steal another solo performer with some U.K. success? Time will tell on this one and your guess is as good as mine. However, things couldn’t be better for the young performer, one who has a lot to be thankful for this year and a lot to anticipate during the next year on the worldwide front. Look out for more announcements from Smith, including more collaborations and solo releases, in the next coming months. He’s come a long way from his beginnings; let’s see if he’s “got you shackled” along with the rest of the mainstream music market here by the end of next year.